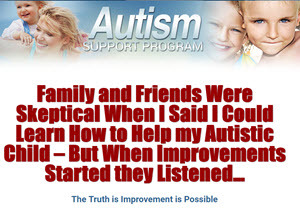 You have come to the right place to find the information and details about Autism Support Program. I invite you to read or go to the Main site for more information now. 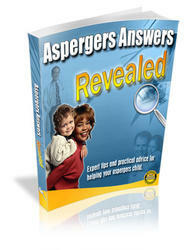 As parents of a child with an ASD, we were willing to try anything we could to make our son's life better. When we first introduced the idea of yoga to our son, he balked. He refused to listen to our plans about implementing a yoga practice for him. He also did not want to hear about the positive benefits of yoga. Our son did not even want to hear the word yoga. Even though we were convinced that yoga would help our son with the symptoms of Asperger Syndrome, we could not motivate him to try even one pose with us. This guide provides a basic yoga sequence that may be used for children with Autism Spectrum Disorders (ASDs). This sequence consists of Warm-up, Strengthening, Release of tension, and Calming poses. Your child should be encouraged to work towards practicing all of the poses. This first pose (Figure 2.1) is used to ease into the yoga session and let your child know that the yoga session is about to begin. Because children with Autism Spectrum Disorders (ASDs) often have difficulty transitioning from one activity to another, this first pose is a consistent way to start the day's yoga practice. The pose provides a few minutes when you and your child may relax, let go of stress and worries, and prepare for the practice. For this guide, we have chosen several different breathing practices that can balance the body systems, enhance abdominal strength, and relieve the body of tension. Learning different ways to breathe is important for a child with an Autism Spectrum Disorder (ASD). Bringing awareness to the breath helps your child to bring awareness to his body.